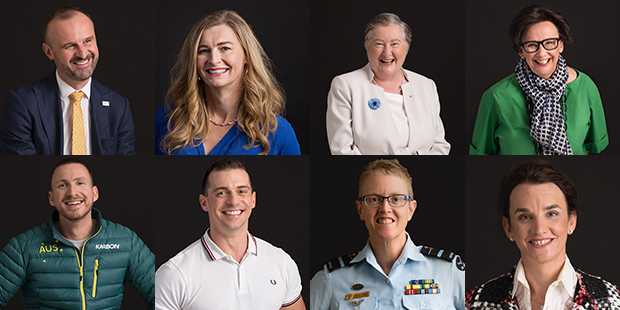 To further develop workplace inclusion and create role models for LGBTI workers, Deloitte and Google Australia have announced Australia’s Outstanding 50 LGBTI Leaders for 2018. Building on the success of the first Outstanding 50 list from December 2016, which included: Alan Joyce (Qantas), Jennifer Westacott (Business Council of Australia), Georgie Harman (beyondblue) and Michael Ebeid (SBS) – the 2018 Outstanding 50 LGBTI Leaders list comprises leading public figures across the corporate and public sectors, politicians, government officials, and business people from small, medium and large companies. Among the 2018 list are: Global CEO RWR Group, John Caldwell; CEO ACOSS Dr Cassandra Goldie, CEO DOW Chemicals, Louis Vega and; Sydney Symphony Orchestra CEO, Emma Dunch. It also contains prominent politicians and public figures including: Liberal Senator, Dean Smith; Labor Senator, Penny Wong; Greens Senator, Janet Rice and; Chief Minister for the ACT, Andrew Barr. Recognising that millions of Australians work in non-corporate roles and within creative industries, the 2018 list also features leaders from organisations of all shapes and sizes, including Sydney-based electrician David Jones; health technology consultancy firm owner, Alasdair Godfrey; Executive Director for the Melbourne Theatre Company, Virginia Lovett and; Screen Australia CEO Graeme Mason. Deloitte CEO Cindy Hook, who last year was named CEO of the Year by Pride in Diversity, said that despite the momentous marriage equality result in November, many LGBTI Australians were still not comfortable being ‘out’ in the workplace. Deloitte has partnered with Google Australia in developing and promoting the list, a collaboration which Ms Hook said was the perfect fit for this initiative. Google Australia and New Zealand’s Managing Director, Jason Pellegrino, said that Google was delighted to help get this important message out there to Australians. “The 2018 Outstanding 50 list embodies our core ethos of encouraging people to bring their best selves to work,” said Mr Pellegrino. For more information, and to view the complete list, visit: www.deloitte.com for details.